Take a look at hellmanns.co.uk for more information on sustainability and recipe inspiration. Visit britishsttreetfood.co.uk/awards to find out more about supporting the best up and coming foodie talent. The wait is over! 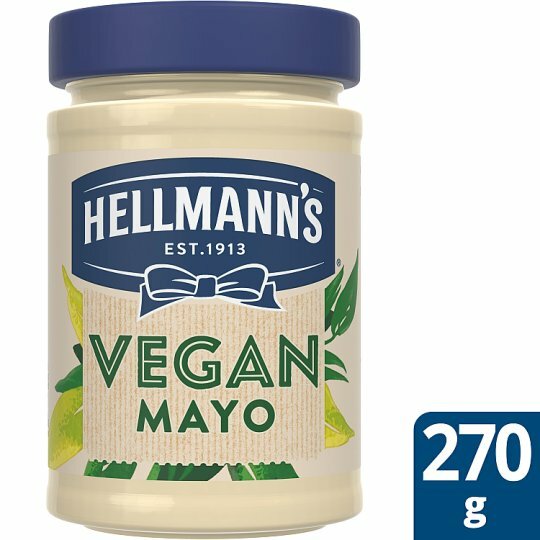 Try new Hellmann's Vegan Mayo - the great taste of Hellmann's, now Vegan! Our creamy and delicious vegan mayo is Gluten free, suitable for Vegans and is a great source of Omega 3. It also contains absolutely no artificial colours or flavours, making it the perfect addition to vegan and free from burgers, fries and sandwiches or as an alternative to our Hellmann's Real Mayonnaise. With a thick and creamy texture new Hellmann's Vegan Mayo is perfect for dolloping and spreading over all your favourite dishes - Now everyone can enjoy the great taste of Hellmann's! If you love our vegan mayo why not try our delicious Fat Free salad dressing! Crafted using a combination of herbs, garlic and red peppers, Hellmann's Fat Free salad dressing is the perfect accompaniment for your Greek salad. Our Fat Free dressing has no artificial flavours, preservatives or colours and is suitable for Vegans, making it the ultimate dressing for your summer salads! Head to our website - www.hellmanns.co.uk for exciting vegan and free from recipe inspiration. You can also take a look at our broad Hellmann's product range, where you can find tasty new products and recipes ideas for salads, wraps, sandwiches and much more! We believe in championing the true value of food and that starts with the people who make it. That's why Hellmann's are proud to be working with The British Street Food Awards, supporting some of the best up and coming street food traders in the UK and Ireland who share our passion and beliefs that real, good food can make a difference. Perfect for Plant based and Vegan diets!